Are you considering using a different wheat variety in your rotation this season? Do you know which herbicides are likely to affect the potential yield of the crop? 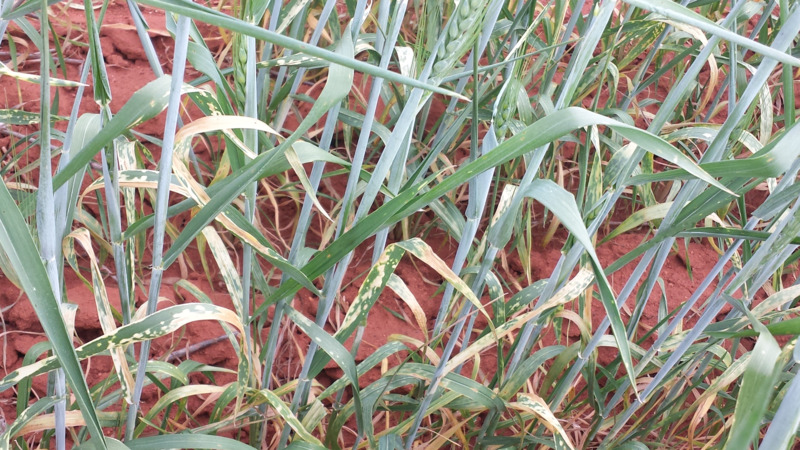 The information on this page outlines the herbicide tolerances of 26 varieties of wheat commonly grown in Western Australia. 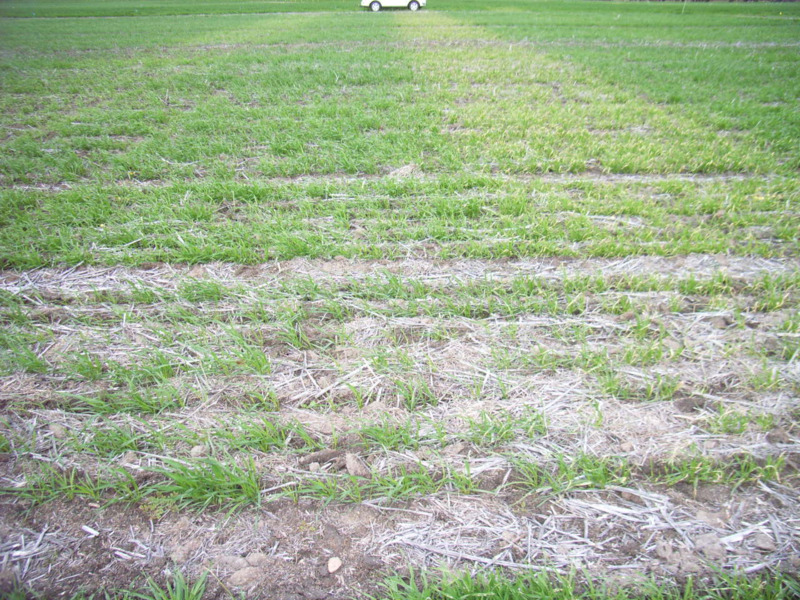 Each variety of wheat has a different tolerance to each herbicide. Some varieties may be more susceptible than others. The variation in tolerance can be due to the physiological characters and/or the development stage of the plant. The level of tolerance amongst varieties varies with the rate of herbicide, the environmental conditions when the herbicide is applied, and the stage of the crop growth. 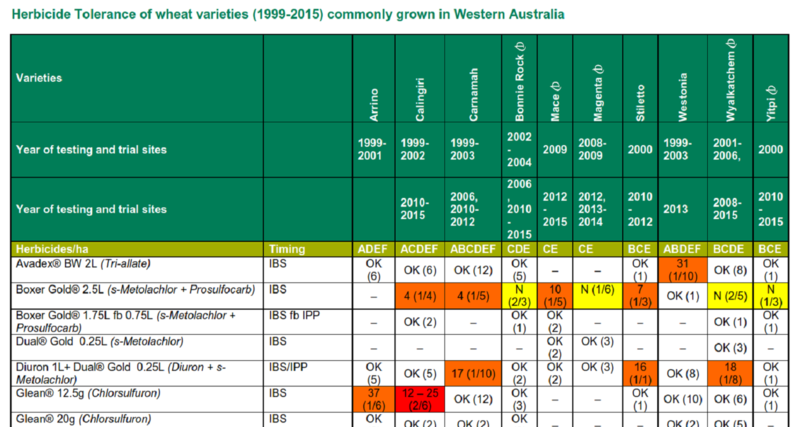 As seasonal variability can change the tolerance of each variety, Department of Agriculture and Food, Western Australia researchers have tested each herbicide and variety listed in the attached documents, over several seasons and locations. The risk of crop damage from a herbicide should be balanced against the potential yield loss from both the weed competition and the number of weed seeds returning to the soil seed bank. To find out if your chosen wheat variety has sensitivities to certain herbicides, see the attached herbicide tolerance document. New varieties will be added as information becomes available.